From Instagram posts to morning smoothies, you cannot seem to escape the avocado in 2017. But the fruit could soon become even more popular after a Spanish company announced it is launching reduced-fat avocados for the first time. 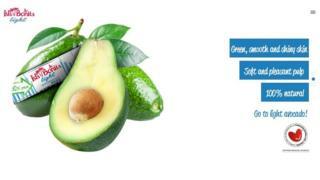 Isla Bonita claims their Avocado Light has up to 30% less fat than ordinary fruits. They also say it ripens faster, and oxidises - or goes that weird shade of brown - slower. The avocados are grown under special soil and climate conditions to provide the same nutritional benefits with less fat, according to the company's website. Avocados are a foodie hit for their rich and creamy texture caused by their high fat content - an average fruit has between 20-30g of fat. Most of this is monosaturated fat, which has been linked to the reduction of cholesterol and lowered risk of cancer and heart disease. But your morning avocado on toast could be less virtuous than you think, with the UK's NHS recommending only one half as a portion size. A large avocado contains about 330 calories, just under one fifth of the daily recommended intake for an average woman. The lower fat version is due to launch in Spain later this month at a trade fair in Madrid. A representative for the company told Fruitnet that the light version could mark the "second big jump in the development of the avocado market". Last year concerns over an avocado shortage sparked thefts in New Zealand. The fruit also caused a row in Australia after a newspaper columnist suggested the Millennial generation could not afford to buy houses because they spent too much money on crushed avocado on toast.